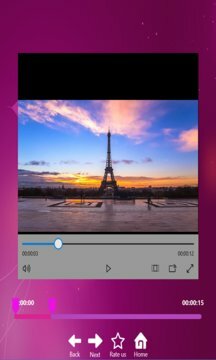 Video to GIF Maker is a video editing app to make GIF from video and to share friends via social links. - You can trim video before creating GIF. - Select "Create GIF" button to convert into gif from video. We want give you the best of application about GIF. Please install our application and enjoy it. Leave your comment , request or feedback help we make my application better.